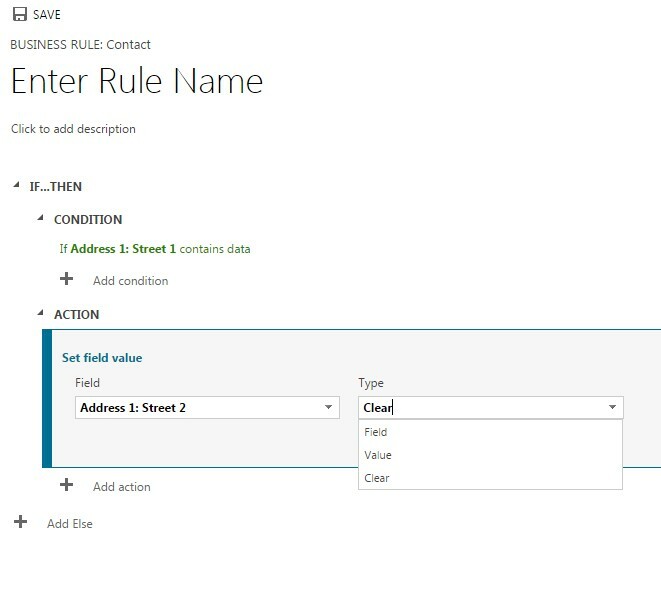 If you have experienced Business Rules in Dynamics CRM 2013 you probably had to build a BR where a field must be cleared. Well that was not possible and we used to either make a two lines script or create another hidden field which is always empty and match the field you want to clear to that one. Fortunately CRM 2015 came with a new update making it possible when choosing a field’s value as you can see in this screenshot.